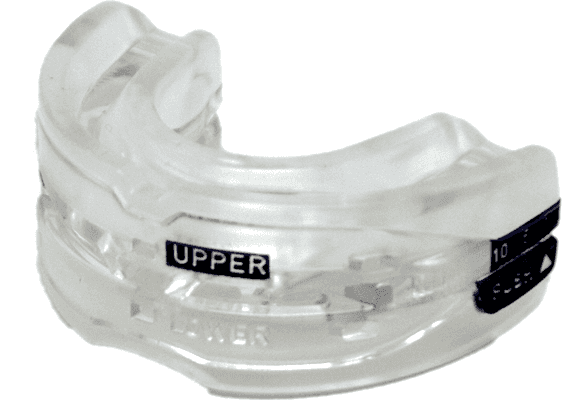 The ApneaRX and SnoreRX are both classified as MADs (mandibular advancement devices). My experience with each of them is similar to most consumers: both MAD devices do an excellent job. The SnoreRX has a significant advantage over the ApneaRX due to its sleeker design, more customizable fit, and its lower cost. The prescription-only ApneaRX functions like all MAD devices. The ApneaRX forces the lower jaw into a forward position to reduce the risk of obstructions in the airway. The device comes with an adjustment key that allows users to slightly move the jaw a few millimeters at a time. 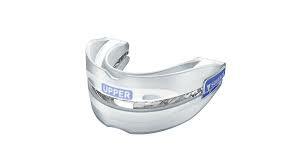 It is one of the most successful obstructive sleep apnea treatments on the market. I visited my dentist to get my ApneaRX prescription. Finally, after over a week of waiting, the ApneaRX arrived in the mail. After doing a boil and bite method, the device fit somewhat uncomfortably in my mouth. The first night, I could barely fall asleep because the constraint on my mouth. I kept waking up in the middle of the night to attempt minor adjustments on the device but could not get the increments right. However, my son reported that he did not hear any snoring coming from our bedroom. Three days later, the soreness became much less intense and after five days, the slight pain was gone. Cleaning was a little more annoying as I had to get into all of the cracks and crevices with a toothbrush, plus periodically use a denture tablet. The SnoreRX has a much different design compared to other MADs. The overall look gives you the impression, which is true, that the SnoreRX incorporates more sophisticated technology than other MADs do. One of the more user-friendly features is the ability to precisely adjust the SnoreRX to your mouth. It uses boil and bite method, but also has a calibrator with ten different, 1 mm apart, settings. You can utilize the calibrator even with the boil and bit fitting feature to further customize your fit. Ordering two allows a significant discount. The $99 price drops to $77 each, plus the $10 shipping. The fitting options were slightly overwhelming. My wife and I used the boil and bite fitting method, but then spent some time trying to get the perfect fit by using the calibrator function too. My mouth was a bit sore after the first night’s use but my wife reported she felt fine. Both of us had a good nights rest. The biggest issue I had with the SnoreRX was the cleaning process. The process took longer than expected. All the nooks and crannies required more attention than just dropping it in a glass of warm water and adding a cleaning tablet. The second night I adjusted my SnoreRX slightly using the calibrators. This made a huge difference as the next day my mouth was much less sore. My wife and I both agree that the SnoreRX, despite its rather bulky appearance, is very comfortable to wear. Both devices are comfortable to use and function as designed. However, SnoreRX comes out ahead for several reasons. The customizable design of the SnoreRX meant that it was less uncomfortable and sore when compared to the simple boil and bite of the ApneaRX. The SnoreRX is a much more cost effective and comfortable option, so it is an easy choice to make between the two. However, when compared to the ApneaRX, the SnoreRX is a lot more complicated to clean with a complete disassembly and denture tablets. Use a SnoreRX coupon code if purchasing. If you need to treat your Sleep Apnea, talk to your dentist about the ApneaRX.